A BRISBANE deacon has called for the Church to consider ending its centuries-old tradition of not allowing married men to become priests. 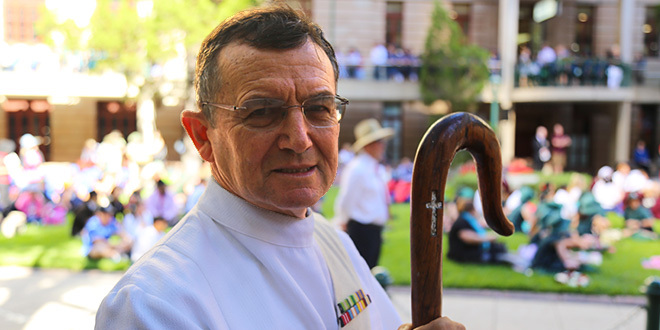 Deacon Gary Stone, a chaplain to the ex-service community, married for 47 years and with four children, says there are simply not enough priests to celebrate the sacraments, and it is time to return to an earlier Church tradition “of having both celibate and married priests”. “While we support celibacy for those so gifted, we have a dramatic need for more mature-age married clergy to provide leadership and sacramental ministry across a range of community needs that are currently underserviced,” he said. “The people are ready for this. Many great candidates are available. “The hierarchy just need to hear loudly from the grassroots that they want this. Deacon Stone has offered his views as a written submission to the Plenary Council 2020, as the Church invites all Australians to listen, dialogue and discern about the future of the Church in Australia. Weighing in on the celibacy issue, Brisbane Archbishop Mark Coleridge told The Courier-Mail on October 6 that allowing Catholic priests to marry might be up for debate during the plenary council as the Church looked for renewal, following the worldwide sexual abuse scandal. “I would not exclude that,’’ Archbishop Coleridge said. However Archbishop Coleridge said the plenary council’s agenda was not a matter for him to determine. If ordaining married men was recommended through the council process, it would ultimately be a decision for Pope Francis. In 1563 at the Council of Trent, the Church last reaffirmed its support for priestly celibacy, an historical decision that Deacon Stone said should now be overturned. “We claim the Eucharist as the source and summit of our life, yet we struggle to have the number of Eucharistic ministers we need to celebrate it in many places,” Deacon Stone said, noting the acceptance of married priests within the Eastern-rite Catholic churches, and some married Protestant ministers who converted to become Catholics. “Put simply, the change of era is upon us – our model of priesthood needs to change – the old wineskins are no longer sufficient for us,” he said. The scarcity of priests is felt in country dioceses that are forced to cut the number of Masses because of the priest shortage. “I know our bishops must struggle greatly with this dilemma,” Deacon Stone said. “For almost fifty years we have not received sufficient local vocations for a celibate priesthood, necessary for our mission. “Is the Holy Spirit saying something to us through this reality? Deacon Stone said he was not seeking to become a priest. His mission, he said, was to remain a deacon to minister on the margins. He served for 25 years as an army infantry officer before diaconal ordination in 1994. Deacon Stone believes there are potential priestly candidates active in many Church groups, agencies and at men’s gatherings. “The vocations we need are here. 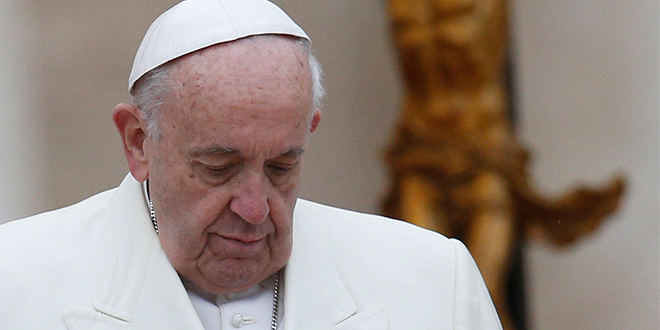 We just need a framework that enables them,” he said, pointing to the words of Pope Francis. The Pope said while he remained in favour of celibacy for priests, the principle was part of the discipline of the Church, rather than dogma, meaning that it could be discussed. “The Pope has told us that a change of era is upon us,” Deacon Stone said. To have any serious impact, Deacon Stone said the Plenary Council 2020 must address the priesthood issue. Failure to do so would see the local Church dwindle even more, he said. Deacon Stone expected there would be some opposition to the married-clergy proposal. “But if our bishops want to regain the trust and confidence of the troops in the trenches, I pray that they will lead us in addressing this fundamental issue,” he said. “The numbers are easy to read.